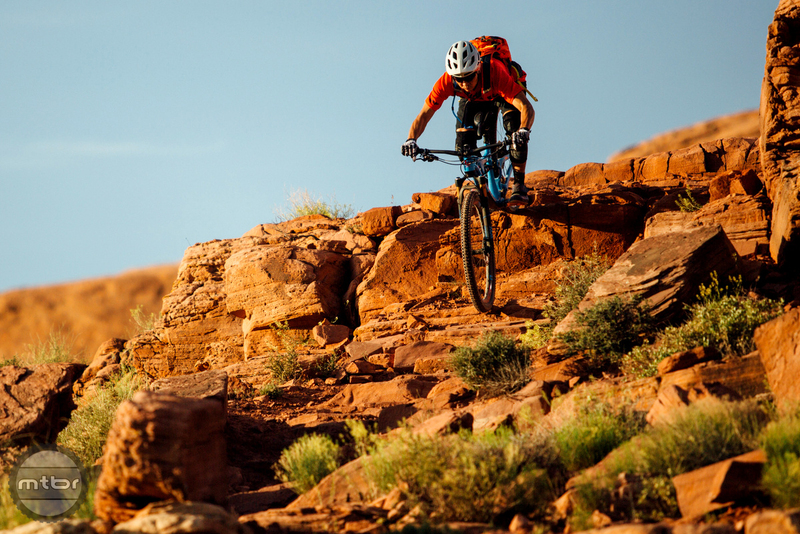 Mountain bikers need to carry water and an assortment of tools and supplies for medium to long rides. The hydration pack is a great solution for this, but not all are thrilled with the concept of having a bag which sits high on the back, shifts around, and affects ventilation. 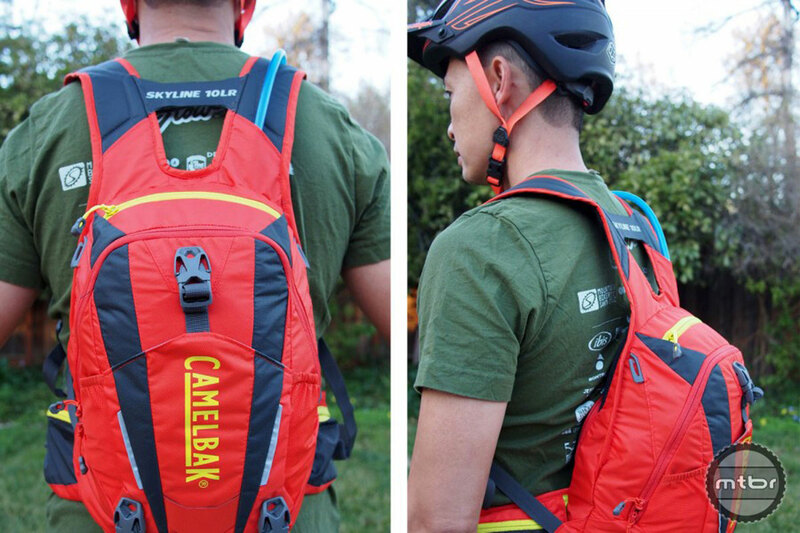 CamelBak aimed to address these issues with the Skyline 10 LR. Have they succeeded? Read on to find out. The unique design moves weight lower down your back (click to enlarge). 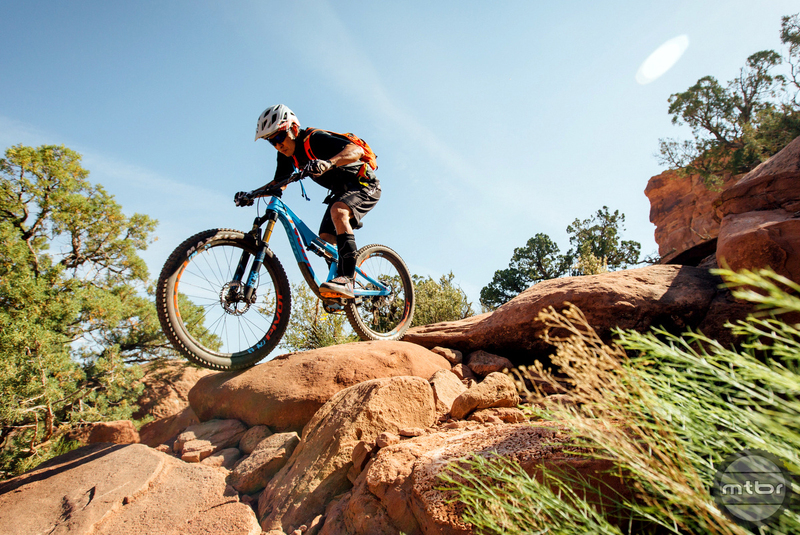 CamelBak set out to make the hydration pack more invisible during your ride by lowering the center of gravity. Have they succeeded? Our answer is a resounding, yes. They’ve also optimized the fit of the pack by placing the weight more on the rider’s hips. The retention system keeps the pack snug and close to the back with very little movement even while jumping and aggressive descending. This video provides an in-depth look at the pack’s unique functionality. 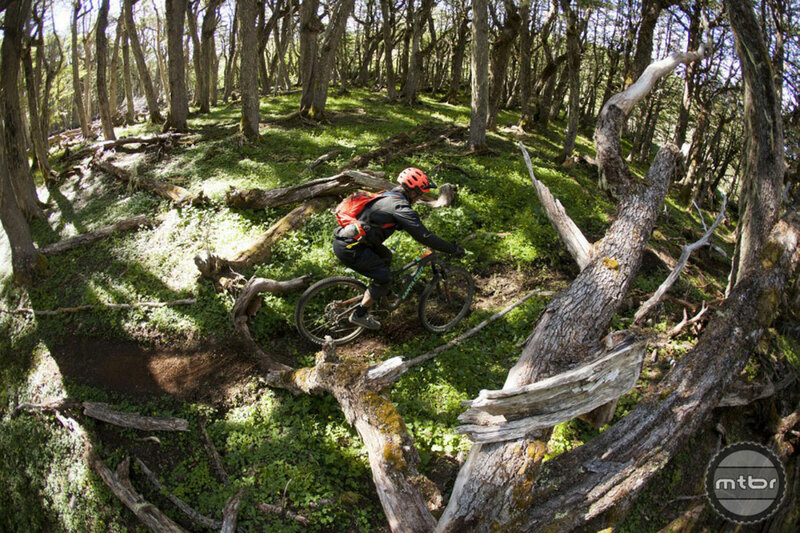 Jumping and pumping terrain is not hindered by this pack. The low rider design does comes with a price, though, as the pack is compact with no expandability. Cargo volume is 7 liters (in addition to the 3 liters of water capacity). So once packed with a jacket, spare tube, food, and tools, it’s essentially full. And since it’s worn tightly against the waist, the lower back can get sweaty (just like a lot of packs on the market). How’s the Skyline compare to Osprey’s AirSpeed at ventilation? I’m not sure how it compares as I have not used the Osprey with that feature but Most packs that ride high cover the upper portion of your back and thus increase heat up there. The lowrider sits so low that the only hot spot is the base of your back. In that location it does cause quite a bit of sweat when ambient temps are high.